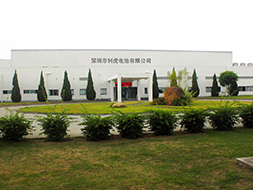 Shenzhen leadhoo battery Co., ltd, founded in 1998, is a high and new tech enterprise with more than 200 staff, which is specialized in the R&D, manufacturing as well as sales of the lead acid battery. Our maintenance free battery is widely used in many relevant fields, such as telecommunication, electric power, railway, solar, UPS, security system, back-up power, emergency supply, lighting system, electric bicycle, vehicle, motor and electronic toy and so on. Our annual capacity exceeds one million KVAh. Welcome to call us for any questions about our products or any information, we are happy to supply the call services in 24 hours each day. © Copyright 1998-2013 All rights reserved.